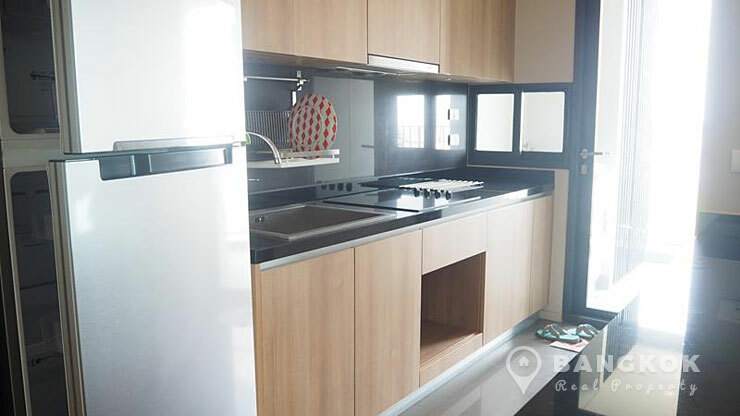 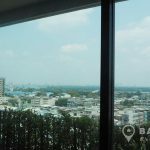 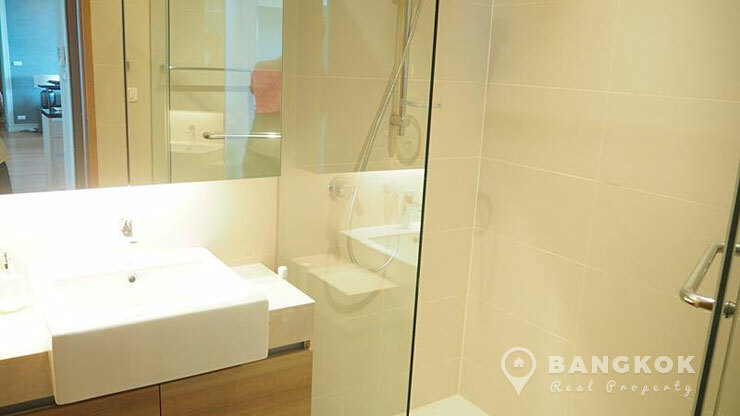 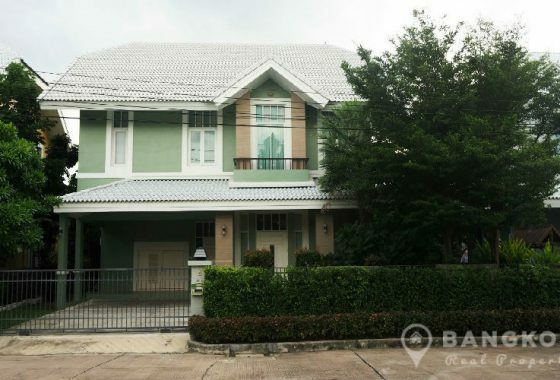 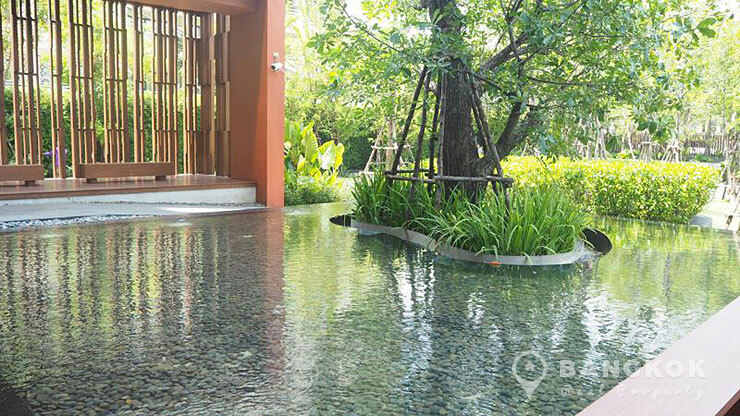 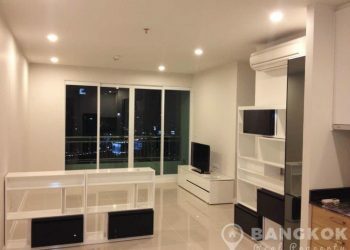 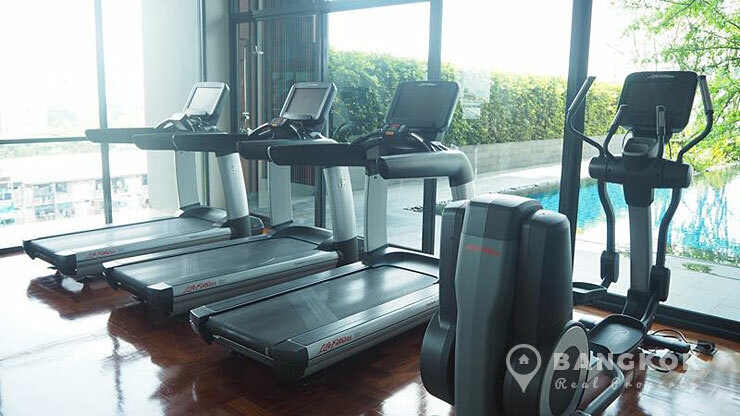 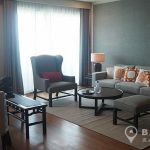 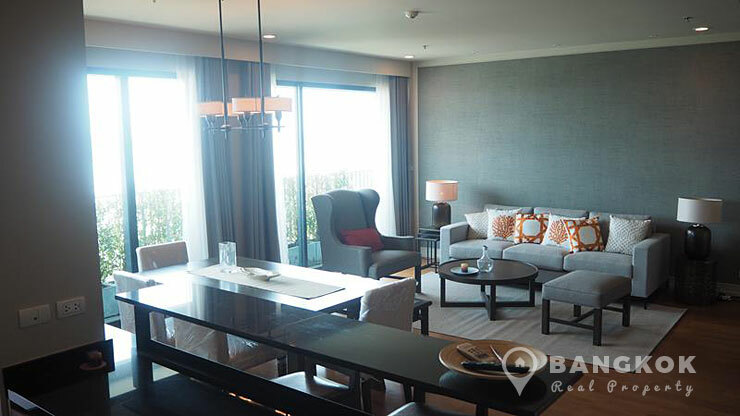 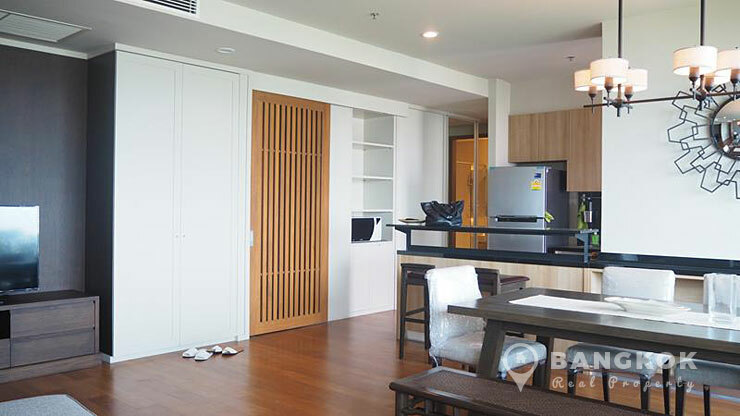 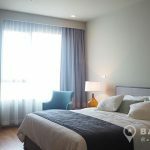 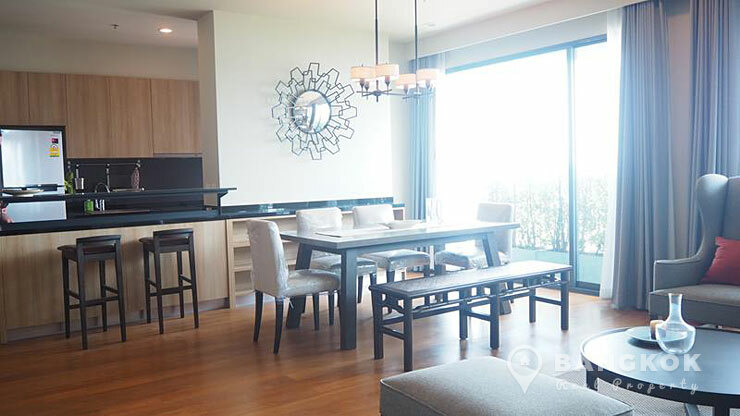 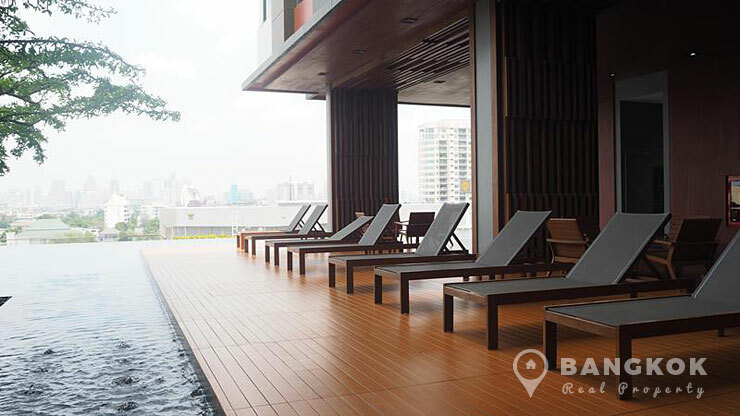 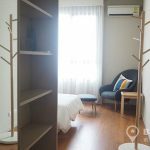 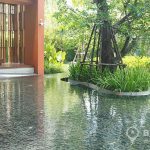 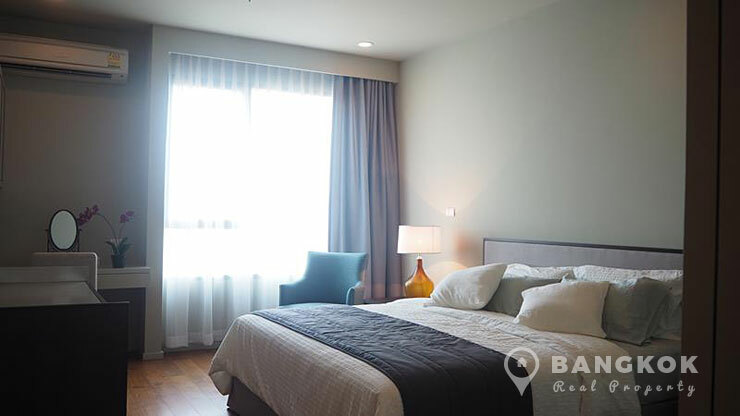 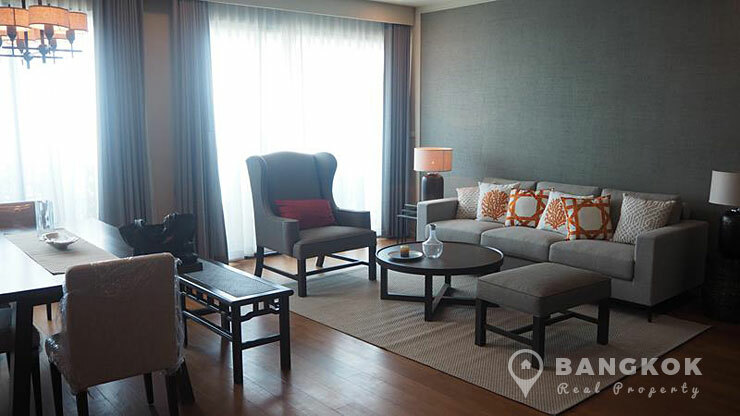 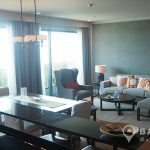 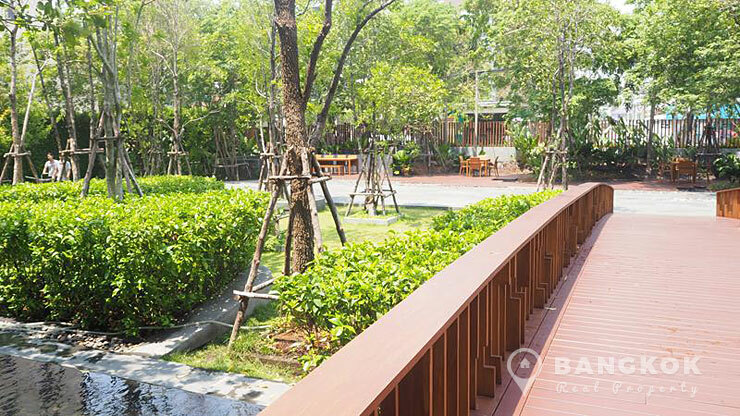 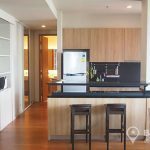 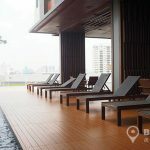 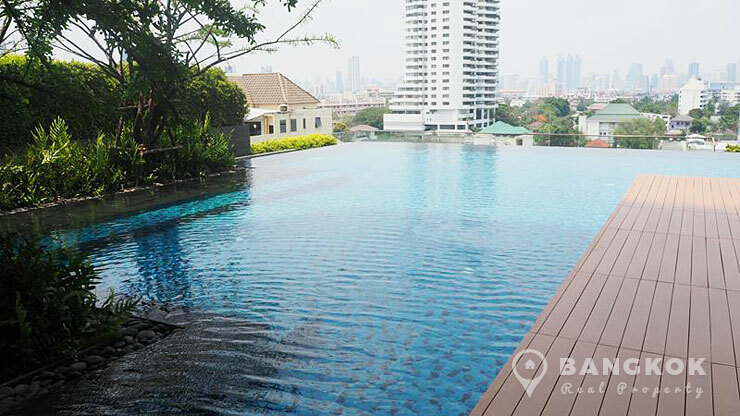 A fantastic, modern 2 bedroom condo at The Parco, superbly located in the heart of Bangkok’s Yenakat on Nang Linchee Road and within easy reach of Chong Nonsi BTS and Lumphini MRT stations. 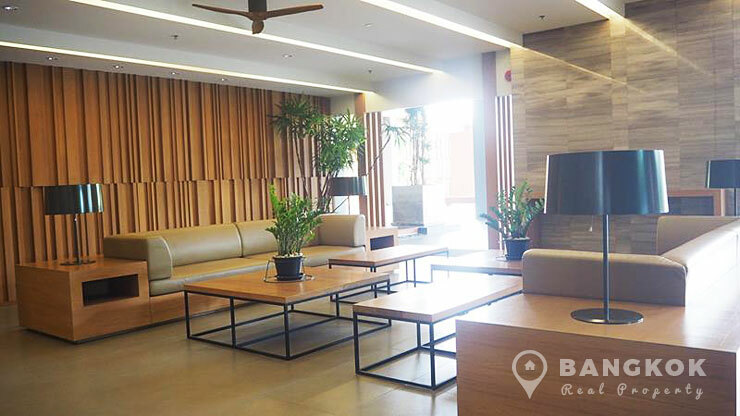 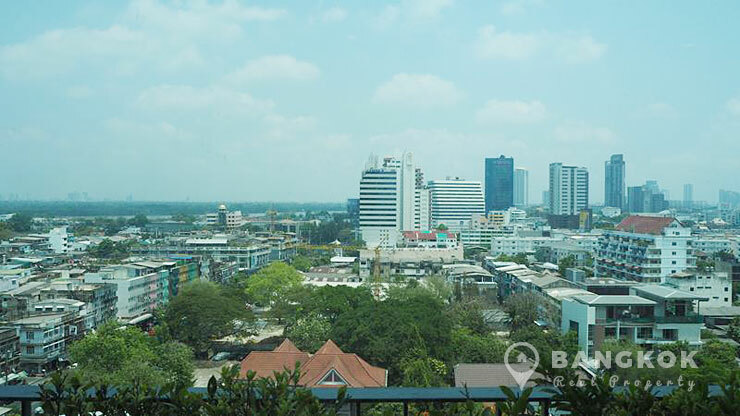 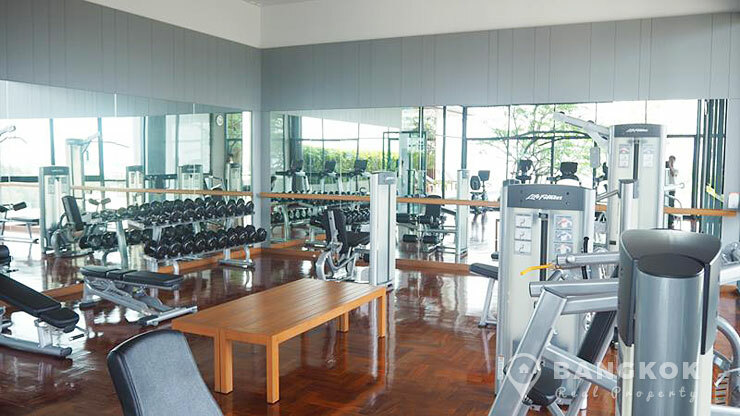 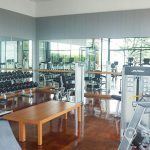 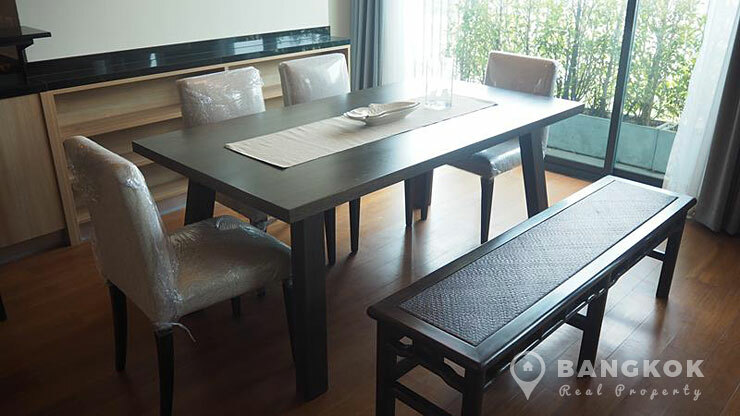 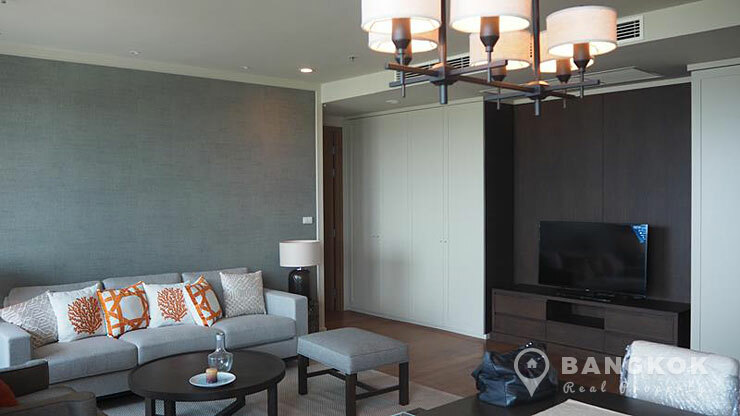 The latest project by Supreme Team, this high rise development with 28 floors was completed in 2013 offers residents access to many local amenities including Central Plaza Rama 3, Tops Market, several top international schools, BNH hospital and Lumphini Park. 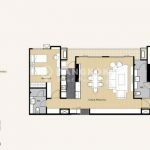 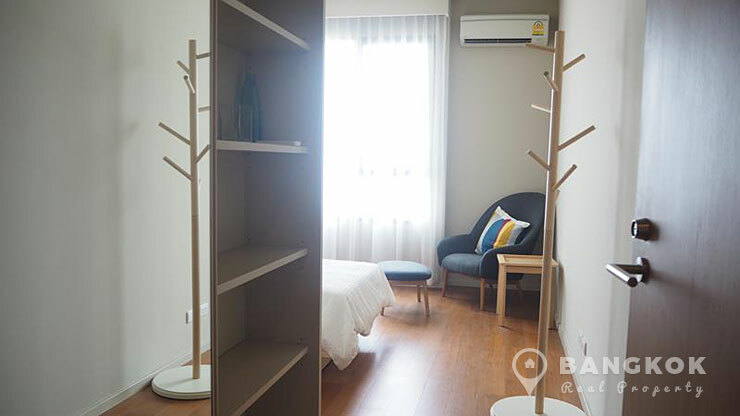 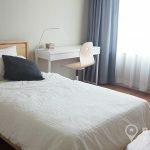 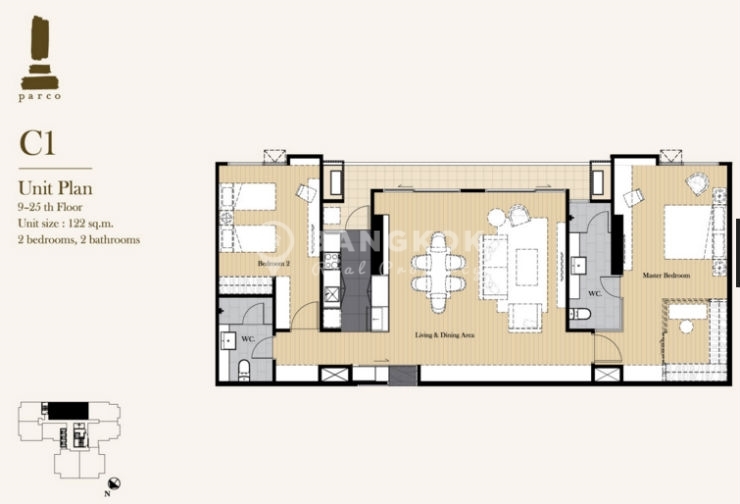 Situated on a mid-floor of The Parco, the condo has 2 double bedrooms, 2 modern bathrooms with showers, 122 sq.m of living space with balcony. 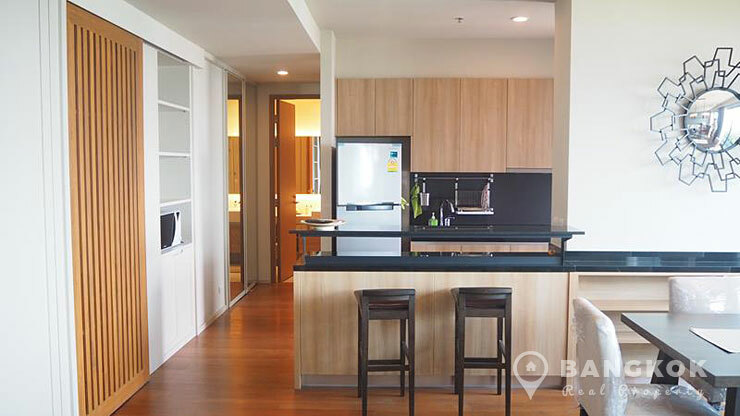 The large airy open-plan livingroom – kitchen has floor to ceiling sliding doors to stunning city views of Bangkok, wooden floors through out. 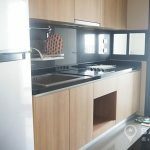 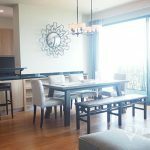 It is exceptionally tastefully furnished, the European style kitchen has extensive built in units, ceramic electric hob and extractor fan, fridge-freezer and washing machine. 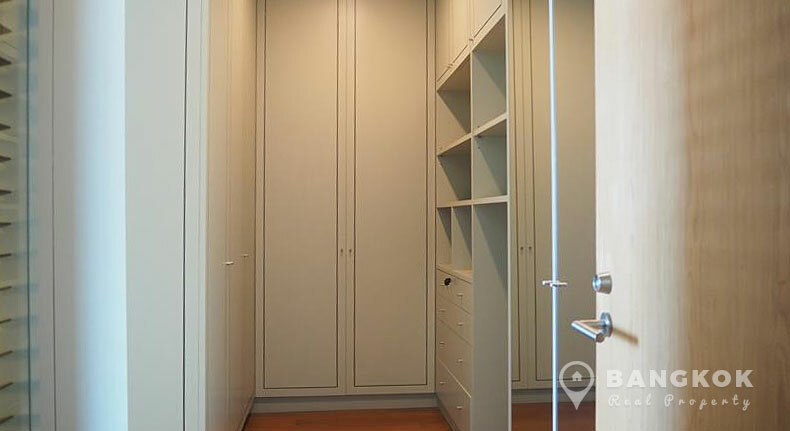 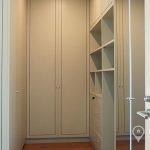 The master bedroom has a walkin wardrobe and ensuite bathroom. 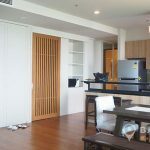 The 2nd bedroom also has writing desk and can be used as dual-purpose room. 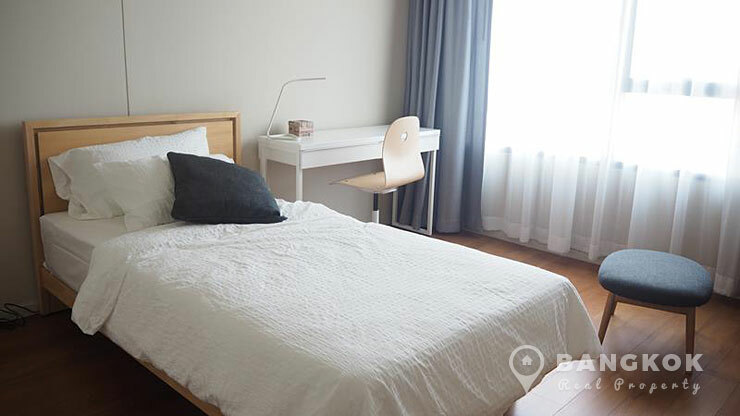 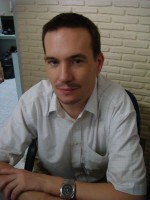 The owner will replace the single bed for a double is required. 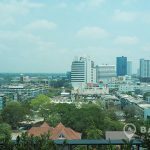 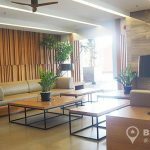 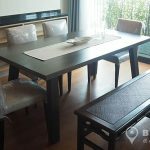 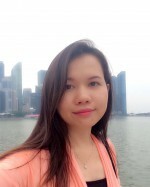 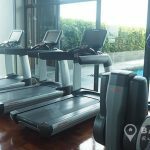 The Parco is a condominium project located on Nang Linchee Road in the heart of Yenakat and with easy reach of both the BTS and MRT. 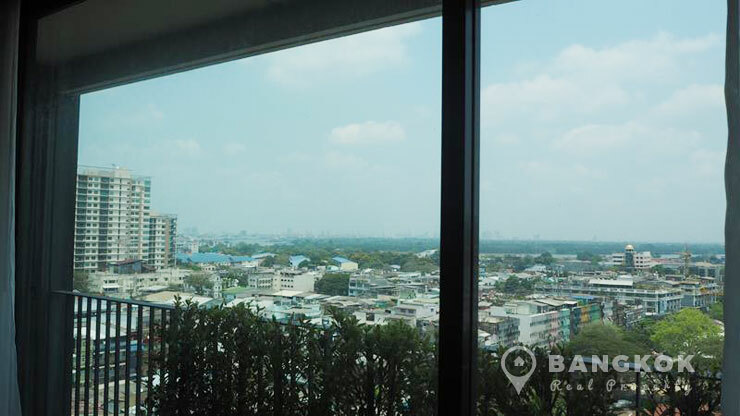 Completed in 2013 by Supreme Team, The Parco consists of a single building with 28 floors with a total of 148 units, a mix of 2 and 3 bedroom units.